These strands vary from light to dark in color. Please let me know if you have a preference when you check out, and I'll do my best for you. Carnelian is the orange variety of the gemstone chalcedony (microcrystalline quartz). It can range in color from light orange to deep reddish orange. 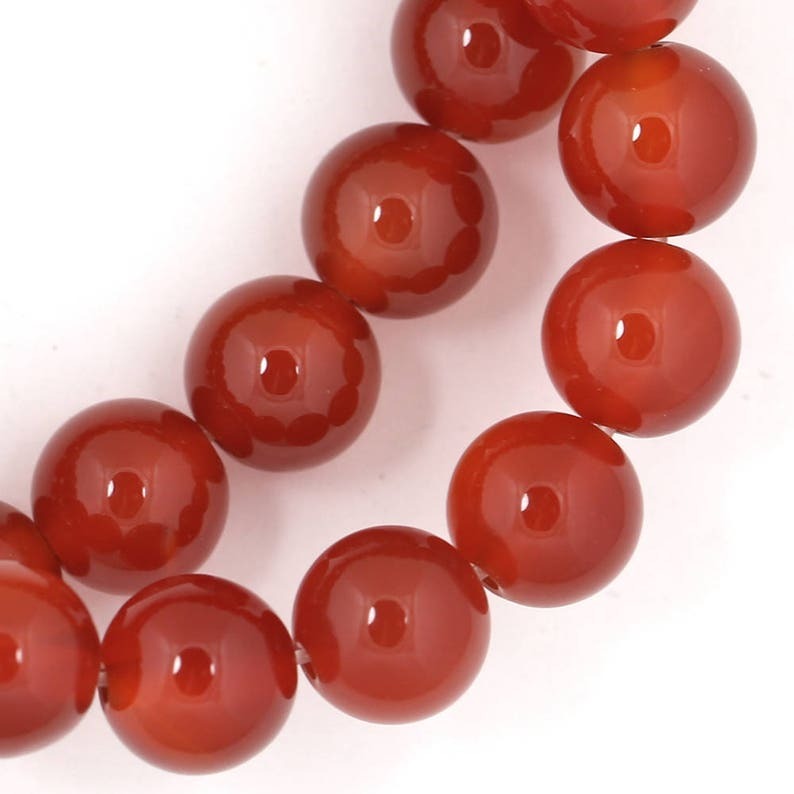 Carnelian is routinely heat-treated and dyed to enhance its color. Historically, carnelian was the first gemstone to be treated to enhance its beauty. The Egyptians heated the carnelian they used to make ornaments and jewelry thousands of years ago, much the same way it is done today. Carnelian is one of July's birthstones.